JUNE 2015 • RAM AUDIO AMPS DROVE “THE IRISH PINK FLOYD” BAND TOUR. 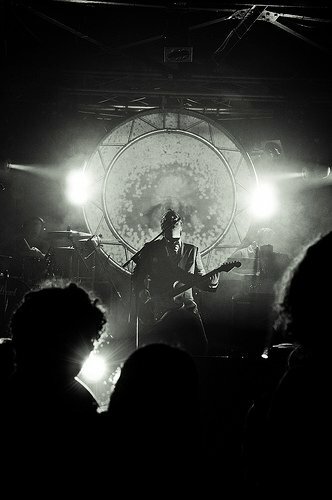 The 6-years old tribute band “The Irish Pink Floyd” did some recent dates around Ireland with gigs in Dublin, Belfast, Galway and Cork. The Irish Pink Floyd are currently treating Irish audiences to their sensational live show on sell out summer tour. Described in Play magazine as ‘A musical and visual feast for the Pink Floyd fanatic as well as the casual fan alike’. The Irish Pink Floyd have quickly established themselves among the most highly rated tributes to one of the most influential rock legends of all. RAM Audio S amps, S6004 model, drove Dynacord Cobra system in the tour. As per words of the sound technician of the band, amps performed extremely well under difficult conditions with an excellent sound quality throughout the full frequency spectrum, the amp was never under any pressure, considering the load it was asked to drive. FOH Audio, recently appointed official distributor of RAM Audio in Ireland, provided the amps to the band, and they have expressed their enthusiasm regarding the new addition into their distribution catalogue and are sure about the fast success the Spanish brand is going to have in the Irish market.